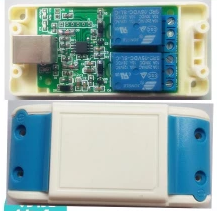 USB controlled relay board with 2 channels is used the HID technology. A tool to control a USBRelay2 board. These boards are based on the V-USB stack from http://www.obdev.at. -name use relay with name, default is "USBRelay2"